I love this woman, Chef Susan Feniger of Border Grill. Not only did she gladly vegetize my bite of crispy bacon summer squash tostada with epazote, sweet corn, frisee and bacon vinaigrette, but she did it with a big smile. I knew she wouldn’t let me down. 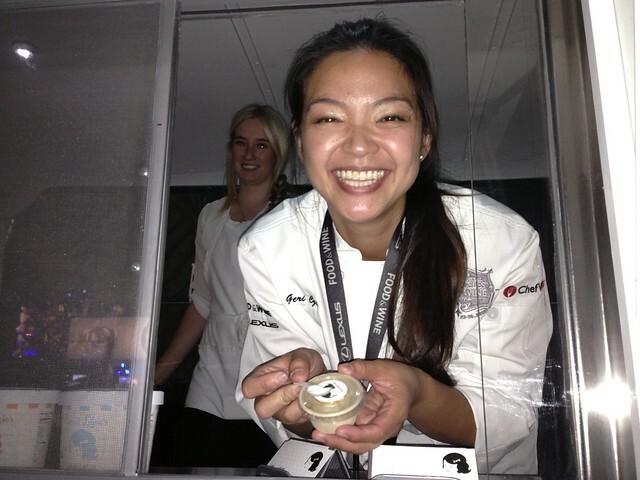 Yes, there actually were things for me to eat at the 2013 LA Food and Wine event. As a vegetarian, that’s rarely the case at these big food fests as I am only a vocal minority. 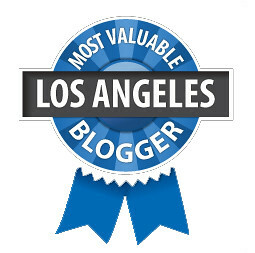 A “food blogger” who doesn’t eat meat or seafood, wuuut? Foodies and chefs love meat. That just means I have to scrounge harder for my bites, ask chefs if they can do the dish without the pork belly or fish. Else I risk drinking on an empty stomach, and no one wants to see that. Fortunately at the food festival — which was comprised of a series of themed tastings like Asian Night Market, Giada’s Festa Italiana and Live on Grand — there actually were some veggie options and all were delicious. 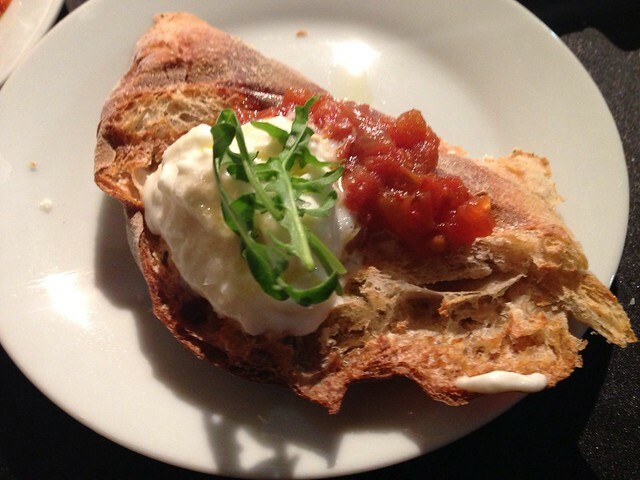 Asian Night Market: Stella Barra’s smoked tomato jam burrata on housemade bread. 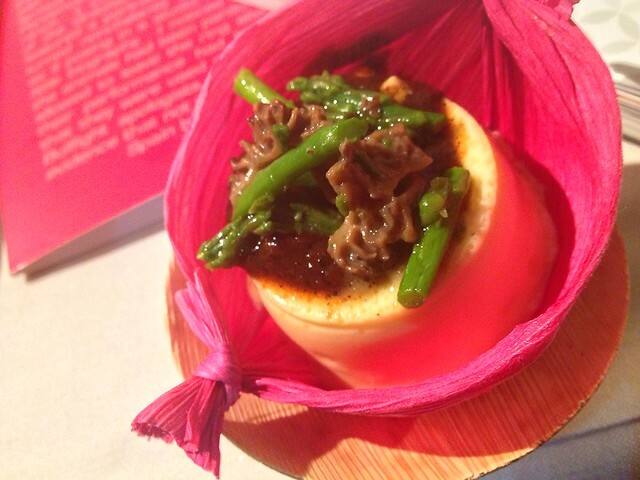 Now, those who attended Angeleno’s Live and Dine this year will remember this dish. But here, Chef Jeff Mahin swapped out the wood-fired grapes for smoked tomato which was an even better combo. 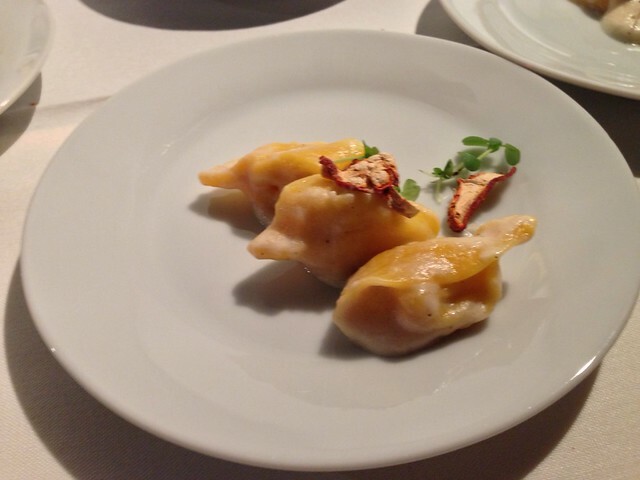 Asian Night Market: I loved Crossroads chef Tal Ronnen’s sweet corn tortellini with crispy smoked lobster mushrooms and sherry cream sooo much that not only did I go back for seconds, I brought it back to my friends working the event since they couldn’t leave their booths. Perfect pasta, creamy and savory. I only wished that I could have a big bowl of it. Live on Grand: This was another one I kept going back for. 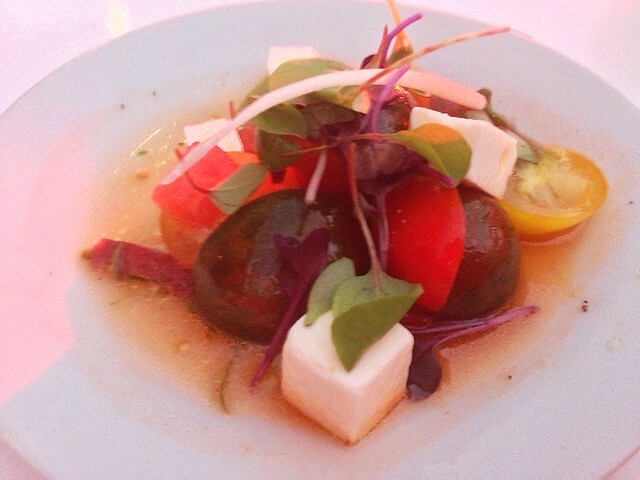 Little Beet (NYC) Chef Franklin Becker’s refreshing tomato and melon salad with mint, dill and basil. Live on Grand: I snagged one of Chef John Sedlar’s autumn corn custards and retreated to a quiet corner of the festival and licked this corn husk clean. Well, first I stirred all the ingredients together, THEN I stuffed my face. Live on Grand: I forgot how much I love pistachio until I had Sweet Lucie’s Ice Cream and Treats’ pistachio ice cream which chef/owner Geri Czako was serving out of the cutest little ice cream truck. The ice cream was not only creamy goodness but had whole pistachios in it.